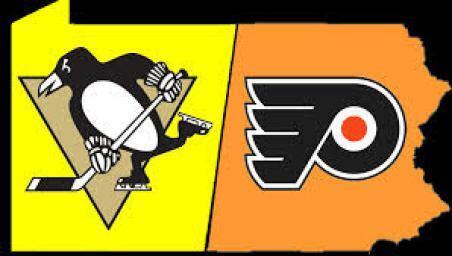 When it comes to the NHL playoffs, there is always a large amount of smack talk between the fan bases. If you want some real fun, and possibly lose some brain cells, take a peek at the smack talk being thrown around by the Philadelphia Flyers fans. There are some doozies to be sure, some of which has absolutely nothing to do with hockey. In a time where fact checking is now the norm, the idea of doing the same with Flyer fan insults seems fitting. Below are some of the more outlandish, childish, and/ or downright idiotic pieces of banter to come from the minds of those who don a logo that no one can really figure out exactly what it is. Fake News: "Pittsburgh doesn't even make steel so it's not the 'Steel City." Fact: Thank you, Captain Obvious. It is nice to see that you have at least some knowledge of industry, if nothing else. However, let me point this out: steel is what made the city of Pittsburgh what it is. Without steel, the city would not have thrived and grown. Steel implies hard work, durability, strength, and metal (be it literal or metaphorical) forged in the most hellish of environments. Pittsburgh may no longer produce steel, but what steel stands for is forever embedded in it's people. Fake News: The Penguins will implode like they did in 2012. Fact: In 2012, the Penguins were a team in the middle of a identity crisis with a core of hot-headed 20-somethings eager to bring another championship back to the city. Those hot heads have since matured (or been traded), and are under the eye of a no-nonsense, "play-the-right-way" Head Coach. Which some scrapping is natural, a full on team implosion is not something that is likely to occur. 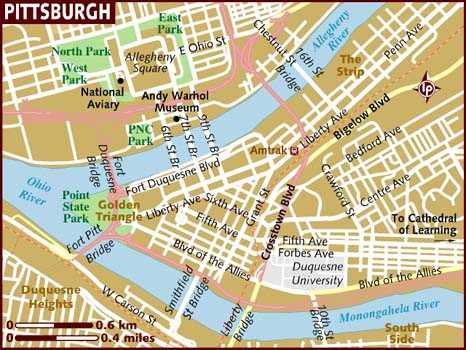 Fake News: "Pittsburgher's probably think bridges were invented there, that's why they have so many." Fake News: "Pittsburgh is a city only known for bridges." Fact: Philadelphia's main claim to fame is a fictional character- let that sink in. Fake News: "Cheese Steaks are better!" Fact: Sure, if you want to clog your arteries and use industrial strength soap to get the grease off your fingers. Fake News: "WaWa > Sheetez." Fact: WaWa is a failed imitation of something great, much like Philadelphia's hockey team. Fake News: "Shittsburgh are all bandwagon/ fair weather fans." Fake News: "Your team declared bankruptcy and almost moved because the team sucked." Fact: Yes, it is true, the franchise struggled financially mainly due to poor management and a smaller population to pull revenue from. However, what speaks greater of the team is their ability to rise from hard times and capture the greatest trophy in all of sports. Fake News: "Penguins players take cheap shots." Fact: The Flyers team and fan base pride themselves on the Broad Street Bullies nickname, and boast a team containing Claude Giroux, Wayne Simmonds, and Radko Gudas. Granted they are not as bad as Brad Marchand, but let's not talk about cheap shots while those names still wear orange and black. Fake News: "The Steelers lost in the divisional round." Fact: What doesn't that have to do with hockey? Fact: Since 2012, Sidney Crosby and the Pittsburgh Penguins have made it to the post season every year with only one first round exit (2015). They then won back to back Stanley Cups in 2016 and 2017. The Flyers, not so much.